Company Medley: The Rolling Stones’ You Can’t Always Get What You Want. 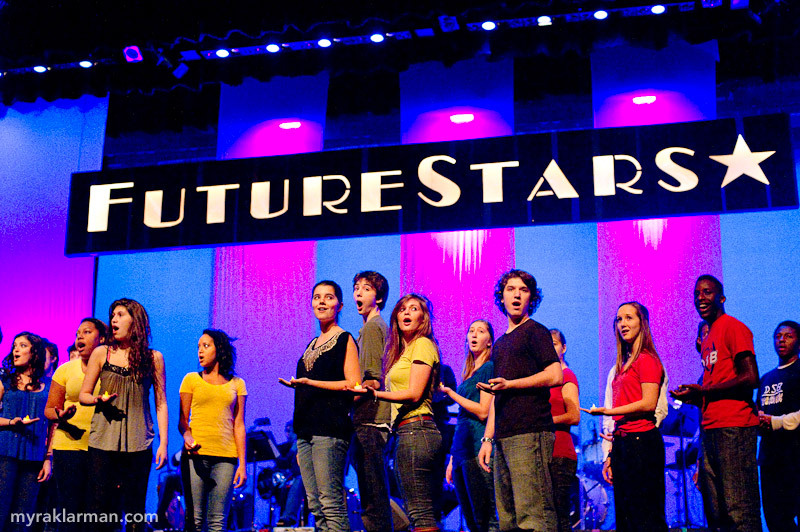 But if you try sometime — specifically, to attend a FutureStars performance at Pioneer High School — you just might find that you can, in fact, get what you want (assuming that what you want is to be blown away by the crazy depth of talent possessed by high school students in Ann Arbor). Once again, color me blown away. 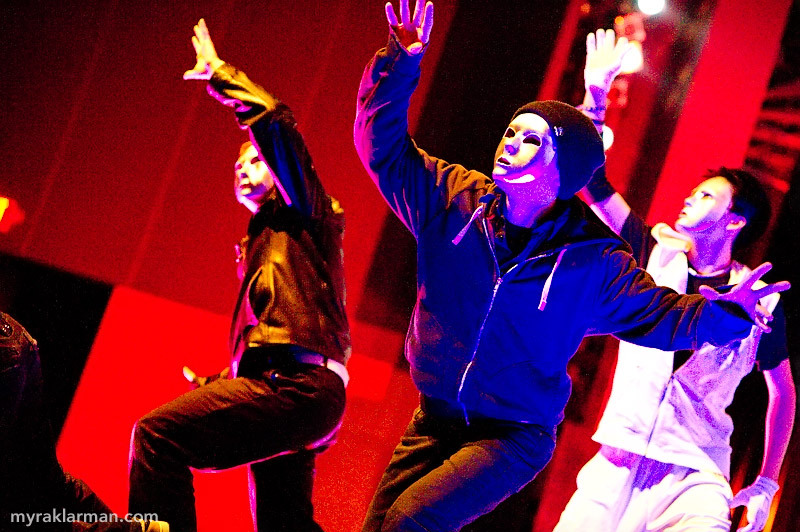 Not just by the performances and the production values (lots of great effects! ), but also by how much the community supports this event. Tickets, which were available online, sold out quickly. The house crew worked feverishly to locate seats to accommodate everyone. 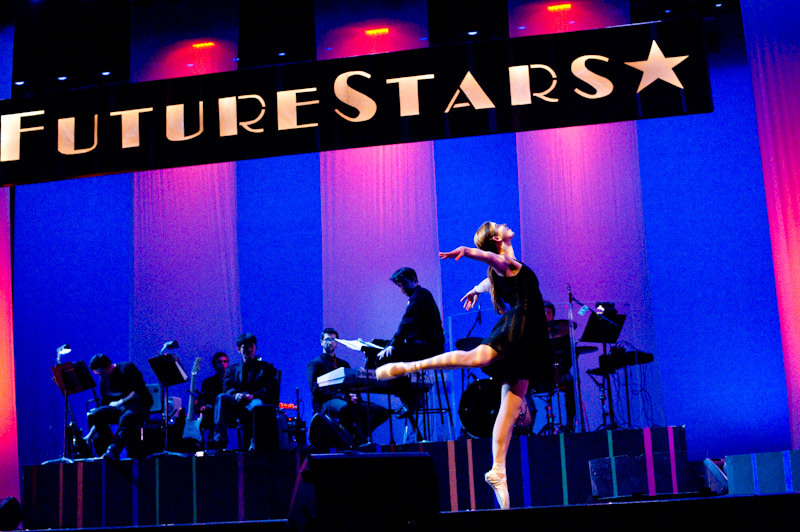 FutureStars 2011 was masterfully directed by U-M School of Music, Theatre & Dance students Joel Sparks, Sadie Yarrington (Pioneer ’07), Desi Oakley, and Ashley Park (Pioneer ’09), and by U-M student Tim VanRiper (Pioneer ’10). Cornell student Scott Mooney (Pioneer ’07) was a new addition as host director/mentor. 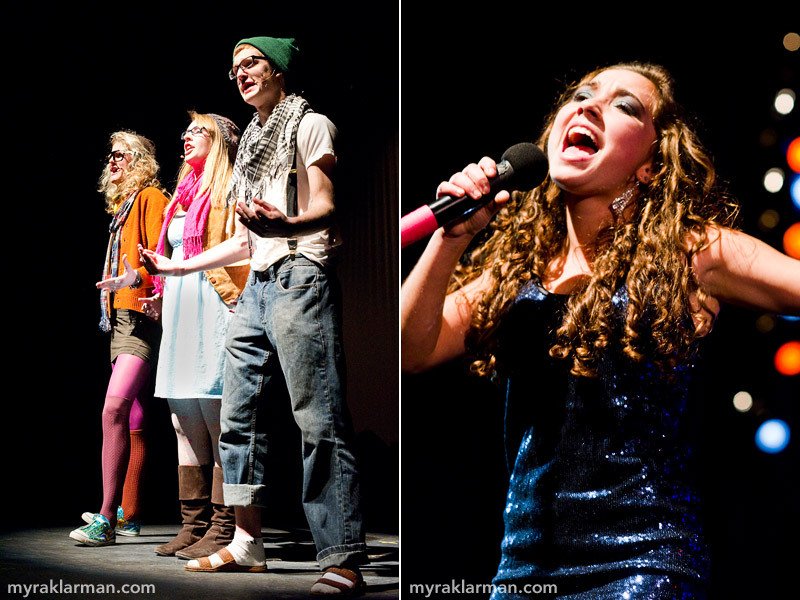 Special guest judges included Roger LeLievre (music writer for annarbor.com), Matthew Altruda (FM 107.1 DJ & Macpodz manager), and Nora Menken (U-M Musical Theatre senior). Before I cut to the film, I want to thank several members of the production staff and crews for their efforts to make it easier for me to capture this amazing show, including technical director Ciara Stella, sound designer/supervisor Patrick Schrock, and the house crewhead Anna Stirling. 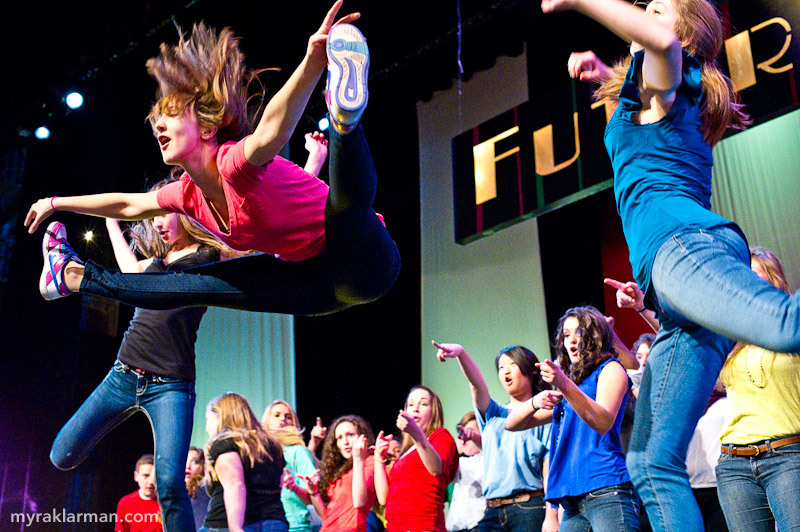 Molly Cocco gets dramatic air in the Company Medley. FutureStars hosts Julia Rampton, Claire Schorin, and Corry Garff open the evening with a nonsensically captivating beat poem (is there any other kind of beat poem?). | Eliza Stein is on a rampage with Cee Lo Green’s Forget You. Emily Lim brings buttery vocals to Breathe. | Isabel McKay accompanies vocalist Victoria Reakhof in a slow and melodic rendition of The Beatles’ I Want to Hold Your Hand. Claire Crause and Michelle Garcia dance to Like a G6. 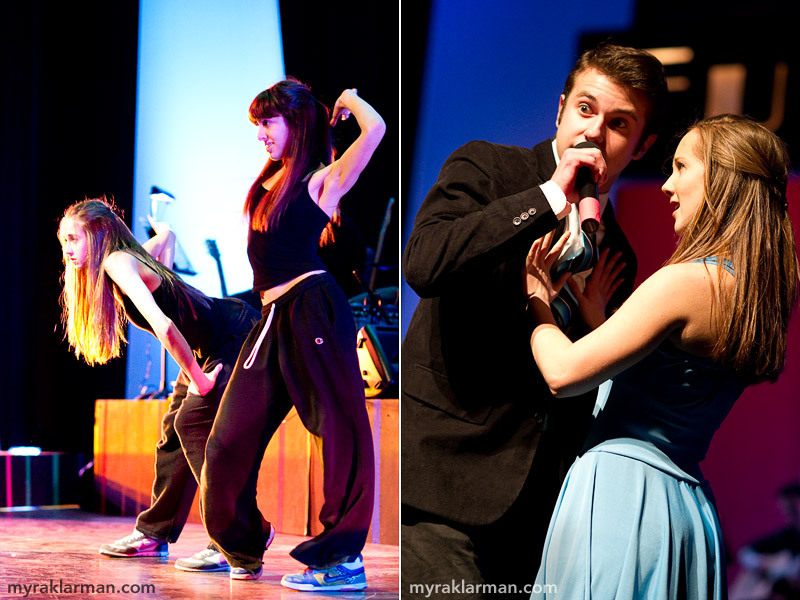 | Hank Miller sings Just Haven’t Met You Yet, accompanied by dancer Molly Cocco. 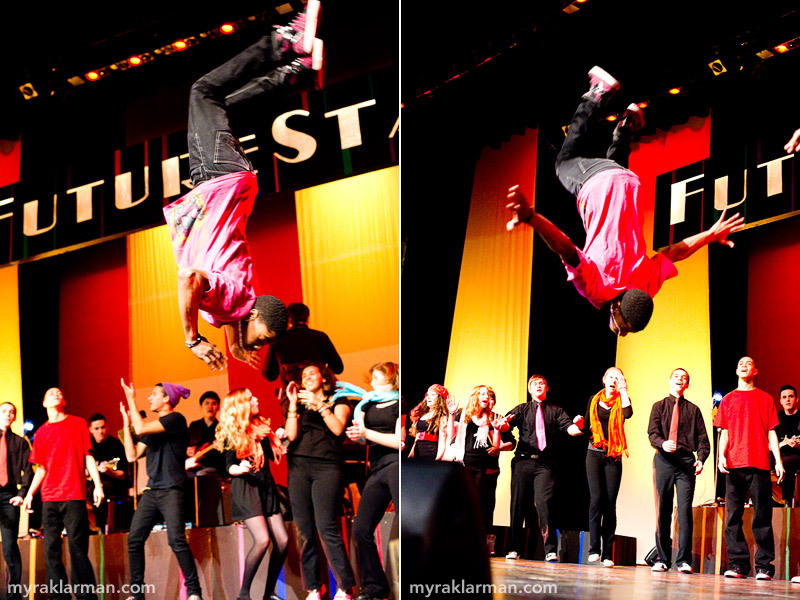 Rising Star dancers Nick Washington (blue shirt) and Sena Adjei (red shirt) in the number Dynamite. Hank Miller, Ray Hong, Russell Norris, Gabe Novak, and Schuyler Robinson wooed the entire audience and broke into the Top 5 with Misery. 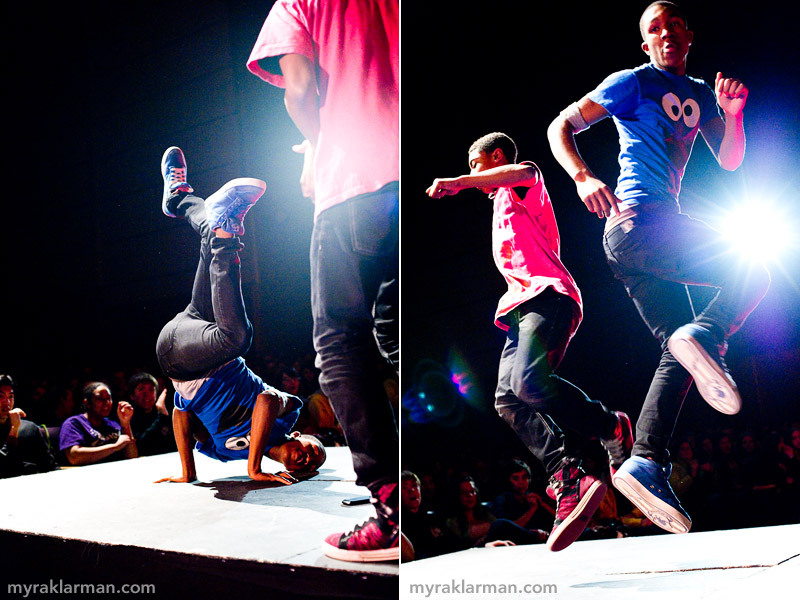 Mani Herring, Anthony Porter, and Cameron Inniss (a.k.a. 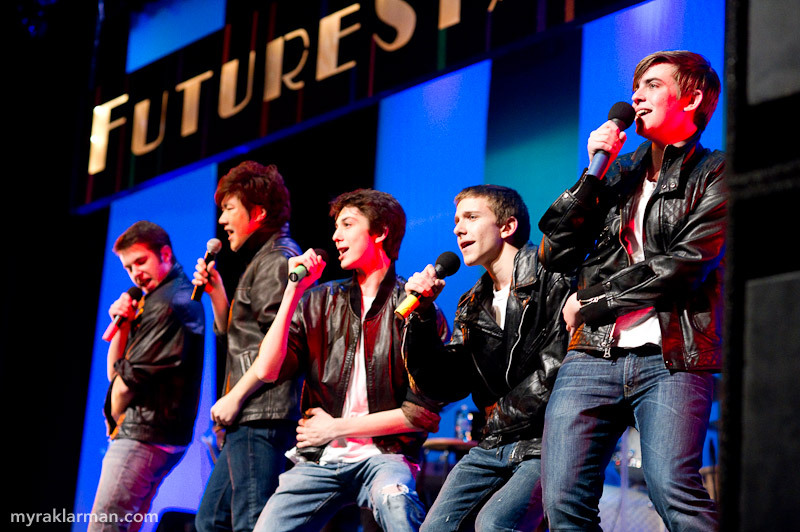 Dark Street Boys, a.k.a. 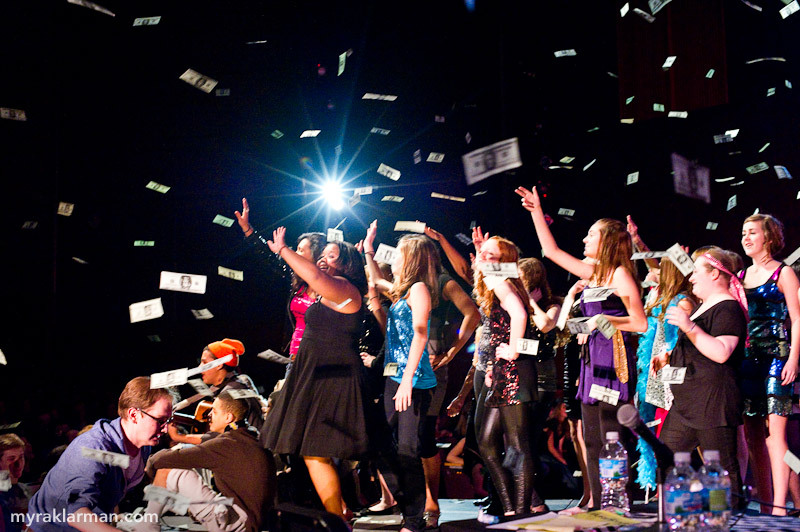 DSB) perform Gold Digger. Schuyler Robinson brings head-banging ferocity to Kiss’s Rock and Roll All Nite. 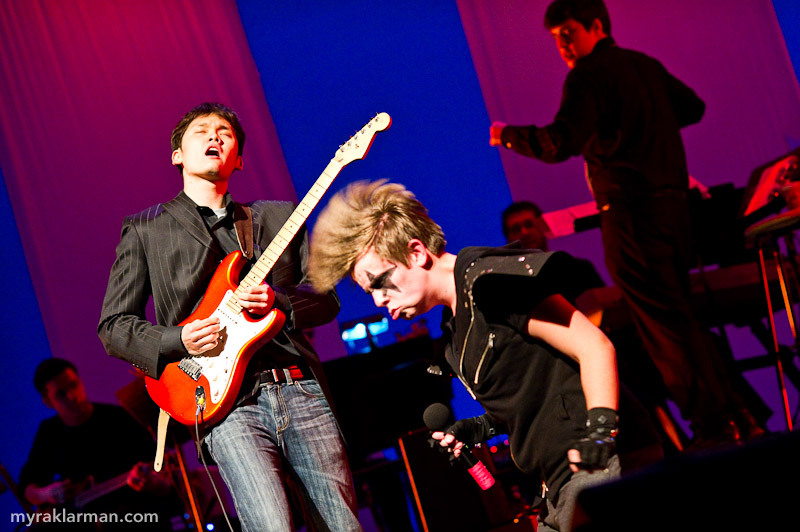 Wonwoo Lee (Pioneer ’07) shreds the guitar solo. The house band also featured Tim VanRiper (Pioneer ’10) on piano and senior Steve Merritt on bass. 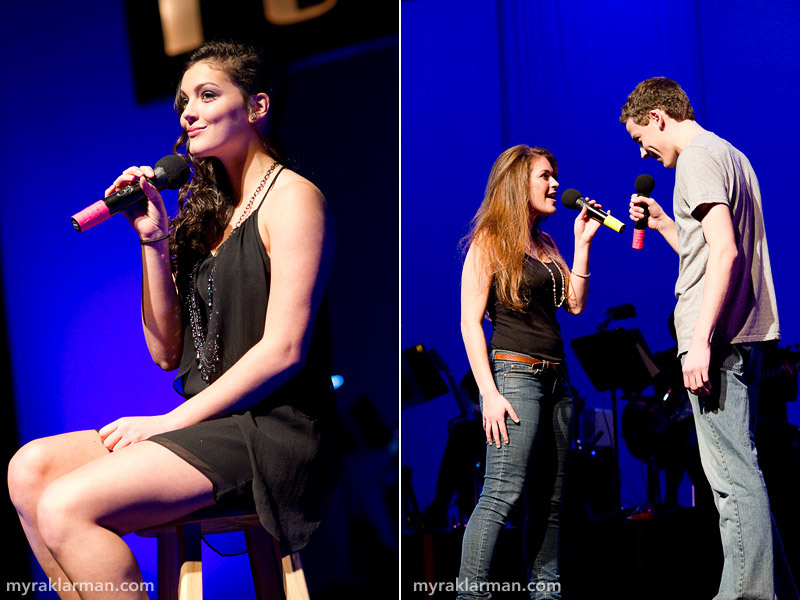 Carly Paull-Baird was dazzling in Empire State of Mind: Part 2 (accompanied by Gabe Novak on guitar). 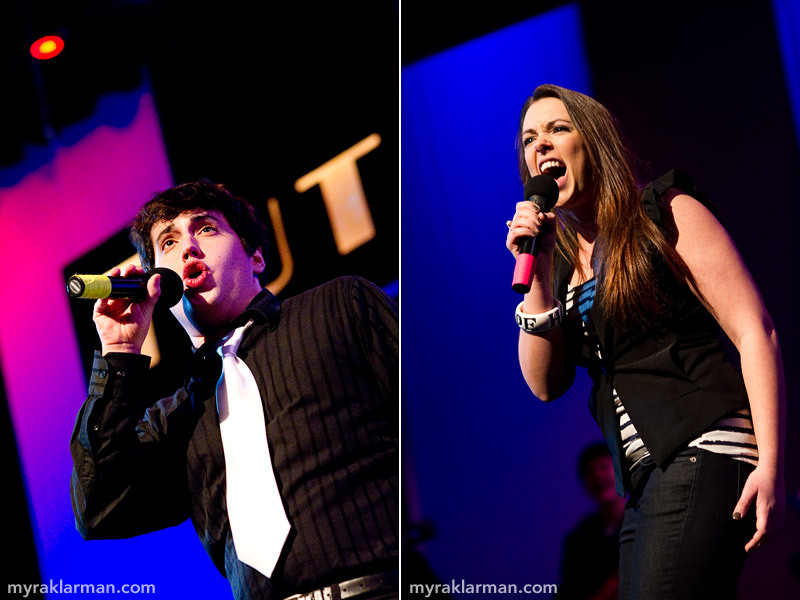 | Mara Abramson and Robby Eisentrout once again portray love on stage in Sweet Thing. Lissa Kryska dances en pointe, prancing to Dog Days Are Over. Top-5 finisher Ari Axelrod had the audience waving their cell phones in unison to This Is the Night. 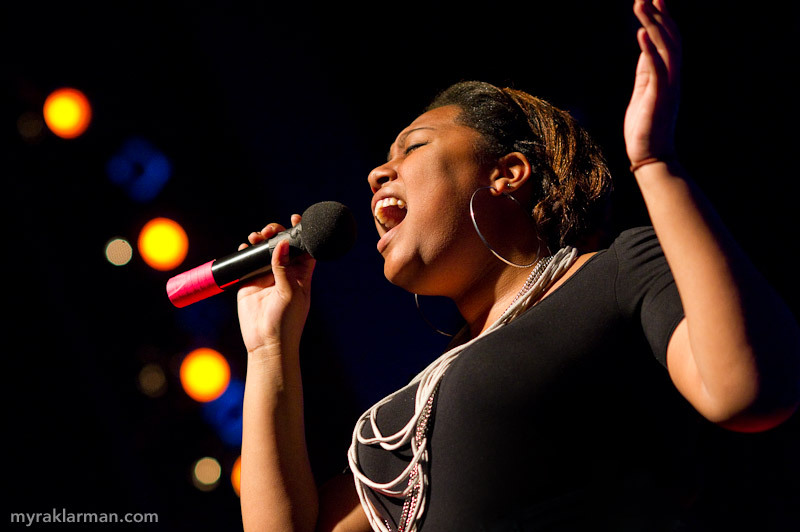 | German exchange student and Top-5 finisher Mai Jammeh convinced everyone with her soulful performance of I’ve Never Loved a Man (The Way I Love You). FutureStars co-winners Mystical Methods (Peter Bae, Sander Bregman, Andrew Choe and Yusef Houamed) at the end of their gravity-defying dance performance to Kid Cudi’s Day ’n’ Night. 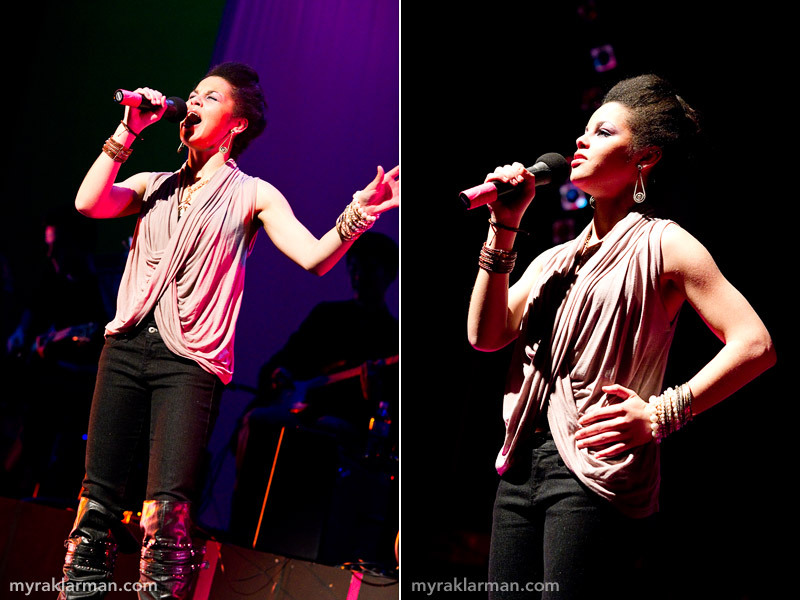 FutureStars co-winner Lauren Victor just nails I Will Survive. 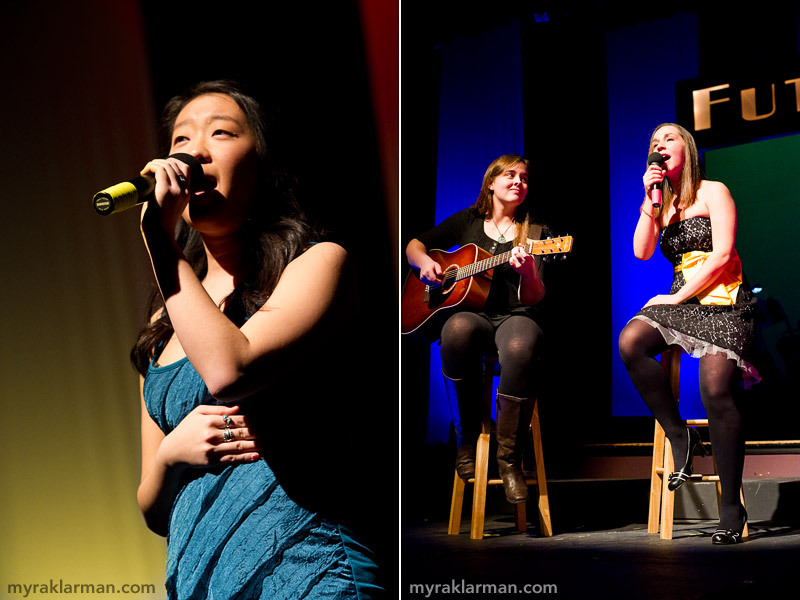 While the judges deliberated, the show’s directors (all U-M students) kept the audience rapt. Sadie Yarrington was a FutureStars favorite back in the day, when she herself had been a member of the Pioneer Theatre Guild. 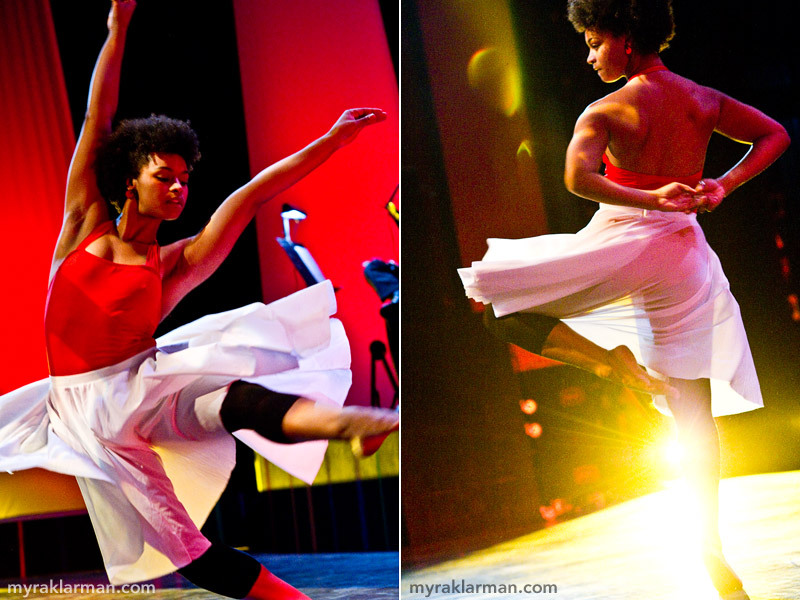 Since graduating from Pioneer in 2007, she’s been studying dance at U-M and regularly choreographs and directs Theatre Guild musical productions. U-M musical theatre students and FutureStars directors Joel Sparks and Desi Oakley prove to be masterful role models in their duet: We’ll Be a Dream. It was wonderful to see Dorothy Yarrington (Pioneer ’08), the FutureStars winner in 2008, return to the Schreiber Auditorium stage accompanied by Ashley Park (Pioneer ’09, U-M Musical Theater ’13) and her sister Sadie Yarrington (Pioneer ’07, U-M Dance ’11). Her performance of Firework was truly breathtaking.